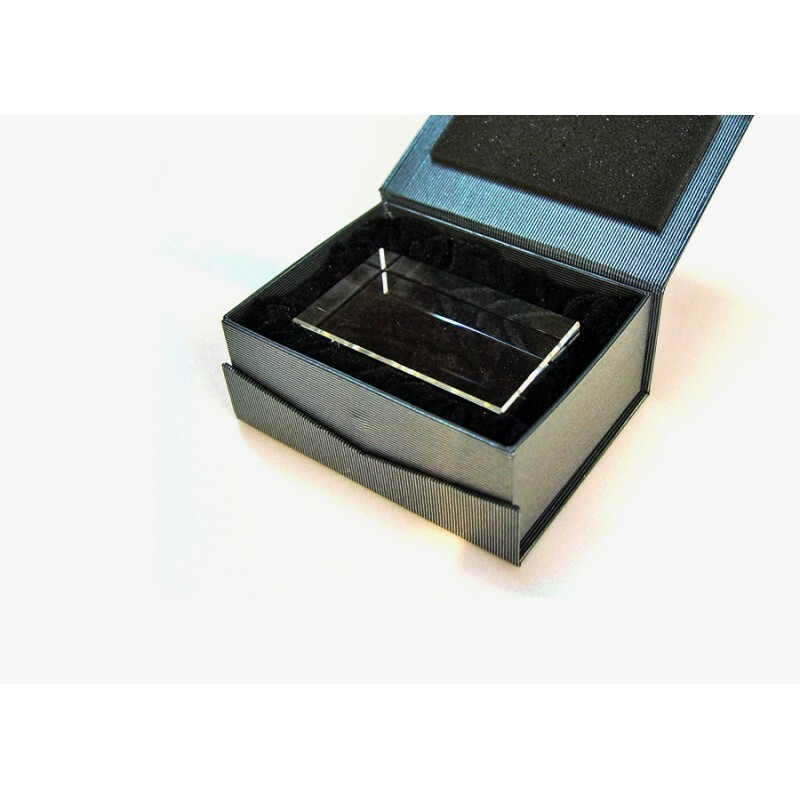 These CUBE 1063 shaped photo crystals have a rectangular block shape and catch the light. The CUBE 1063 shaped photo crystal is edgy, modern and innovative, and will attract attention sitting on any desk or shelf. Designed for 1 ~ 2 Figures, Vertical type available. 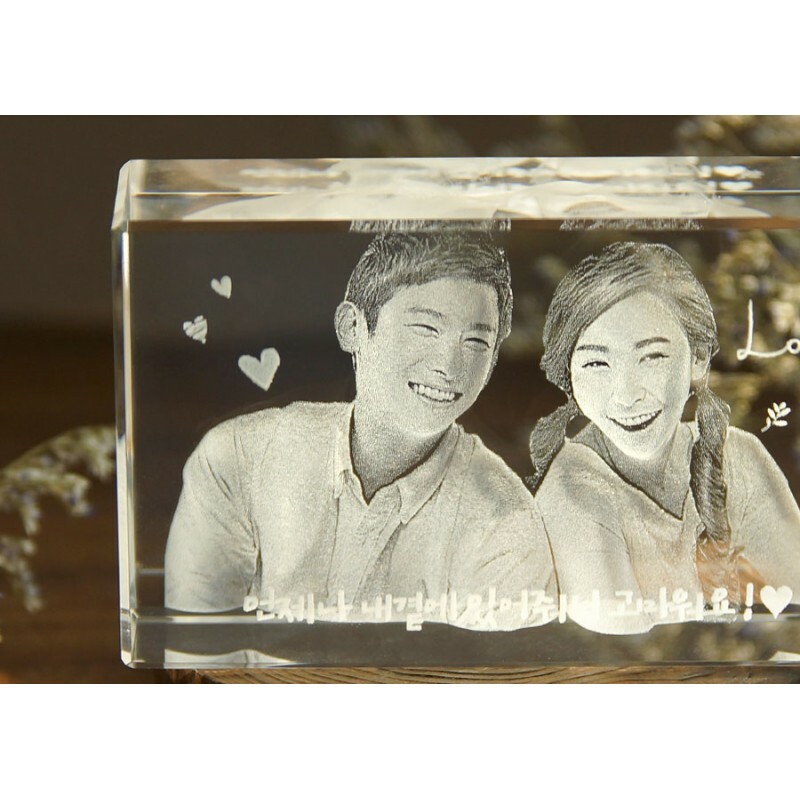 GiftsKorea.com Provides Beautiful 3D Laser Crystal Gifts for all Occasions. 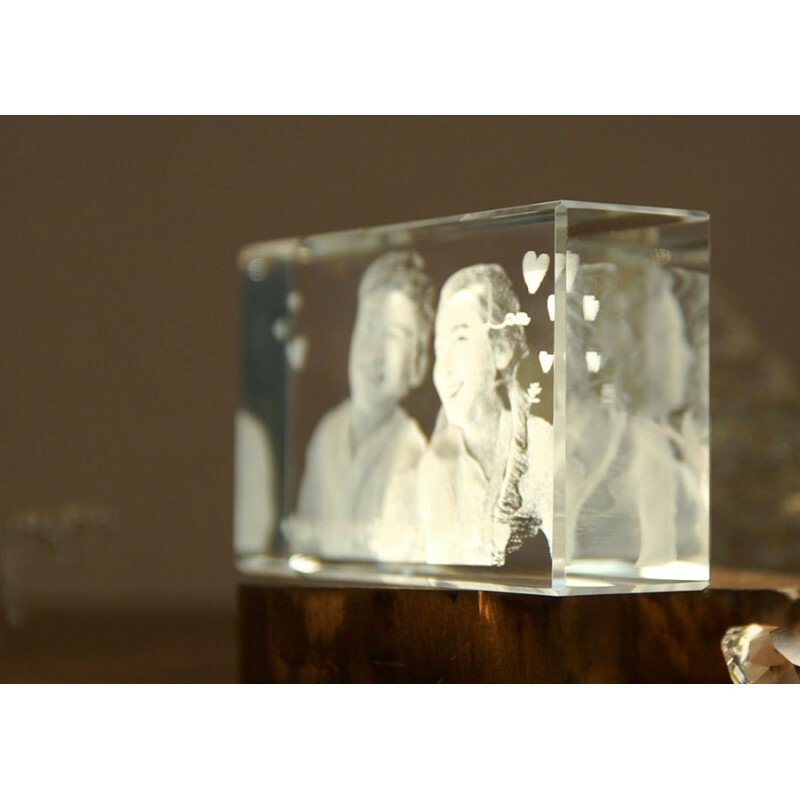 Personalized 3D Photo Crystals, 3D Laser Etched Crystals. 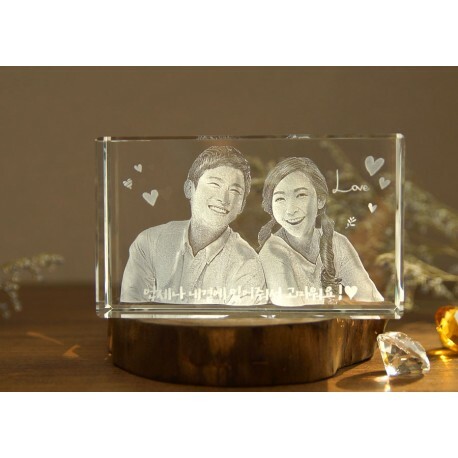 How to placed Customized order for 3D photo Crystal Gifts. 1. Registered your account and Fill up as billing and Delivery information. 2. Choose from a variety of crystal shapes and Select figures count(upper body) for your photo convert to 3D, If you want to full body than let us know. 4. Upload your photo(Max Image Size 5MB) with some text (10 characters Maximum in Korean, 40 characters Maximum in Enlish) to info@giftskorea.com by mail, indicating your order no. with your name. Tips for Good photo selection for 3D convert. 2. Well-defined EYe, Nose, Mouth on the photo. 4. High resolution is better. 1. If you want to use your hand writing than take a photo and send to info@giftskorea.com by mail, indicating your order no. with your name. 2. You can use text Style, Let us know. If not than will use best suitable style by our designer. 3. Text will Engraving on the crystal than limited length. - To add a gift message put on the card during check out or by email with your order number. - For 3D photo Crystal Gifts products delivery, It may take up to 3~4 days(excluding Saturday, Sunday, Holidays) for the dispatch to be completed after placed order with receiving your photo, Some text and Correct figure count by preparation for design and Laser engraving process and Packaging for dispatched by Parcel service provider. We cannot guarantee arrival time. Sunday is not available by Parcel service provider's has off. 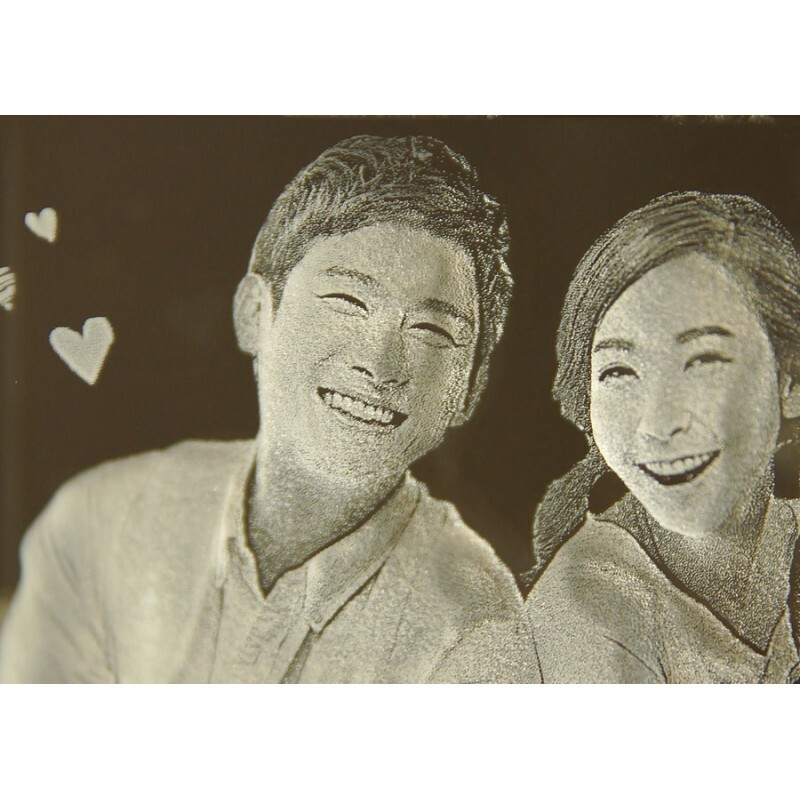 - If you place an order for the 3D photo Crystal Gifts from this category, along with a flower and other item, please be advised that delivery of the 3D photo Crystal and others are will be made separately to the recipient. - The rendering on your finished 3D Photo can be different from the examples shown throughout our website based on the original image that you provide. Included USB cable for power supply, 3 x AA Battery operated, 4 color selectable mode and Auto change able colors mode in fast or slowly. Spin on/off mode. Included USB cable for power supply, 3 x AA Battery operated, 4 color selectable mode and Auto change able colors mode in fast or slowly.